(TYLER, TX) July 21, 2011 – Images of pop icons and vibrant graffiti collide with thoroughly deconstructed objects and subdued tones in the two latest one-person exhibitions to open at the Tyler Museum of Art. Works by Texas contemporary artists Carol Benson and Derrick White will be on view July 24 through September 11 at the Museum in its Bell Gallery. Containment of Thought: Recent Works by Carol Benson and A Little or a Lot: Recent Works by Derrick White comprise works on paper including paintings and collage, as well as three-dimensional artworks. Both exhibitions were organized by the Tyler Museum of Art. Carol Benson is a contemporary artist from Fort Worth, Texas who uses everyday objects to communicate her artistic message. By reducing an item to its most basic line and shape, the artist suggests rather than imposes meanings on her viewer. Benson’s work often focuses on the fundamental structure of a subject. 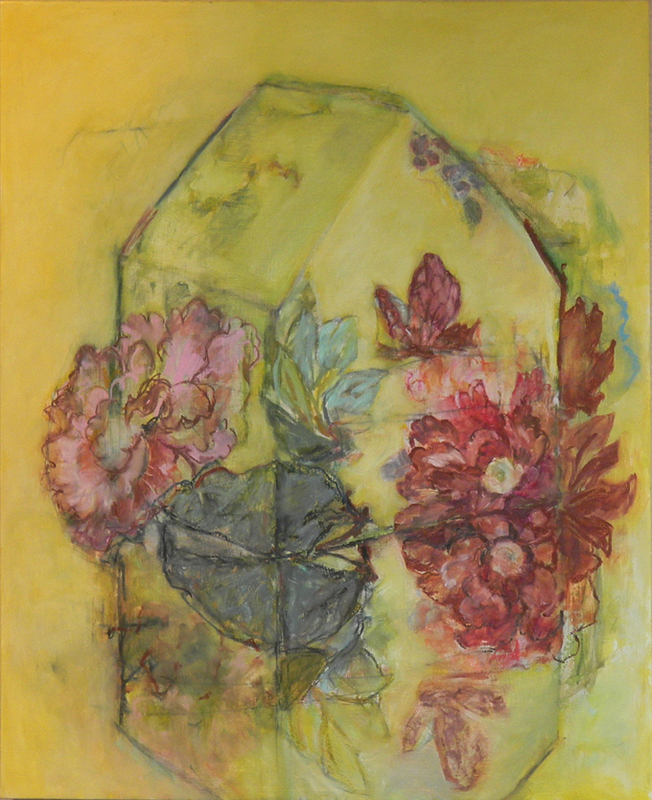 Her house paintings show physical layers, from the skeleton of a frame to washes of bright color that cover the structure, suggesting a layering of thought and significance. Born in Baytown, Texas, Benson earned her MFA in Painting and Drawing from Texas Christian University. Her professional experience includes both solo and group exhibitions across Texas, New Mexico and New York. Influenced by simplicity, Benson attempts to recreate an experience of first-time exploration through her work as an artist. Derrick White is an artist based in Tyler and art professor at Tyler Junior College. His artwork includes sculpture and paintings, and is typically characterized by a fusion of brush strokes, mixed-media collage, and screen-printing. Interplay between people and objects often contribute to the dynamic composition typical of his art. The artist earned his BFA and MFA from the University of North Texas. White’s art has been shown in exhibitions across Texas, and he has garnered various awards and recognition over his years as a professional artist. As a child, White drew cartoon characters and pop icons. 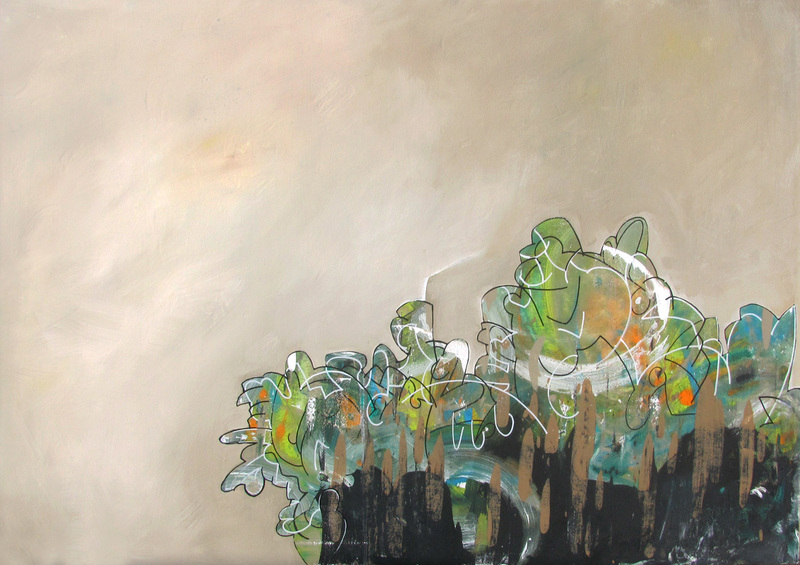 His current work employs an experimental mix of colors, shapes and images and ranges from the playful to the unusual.